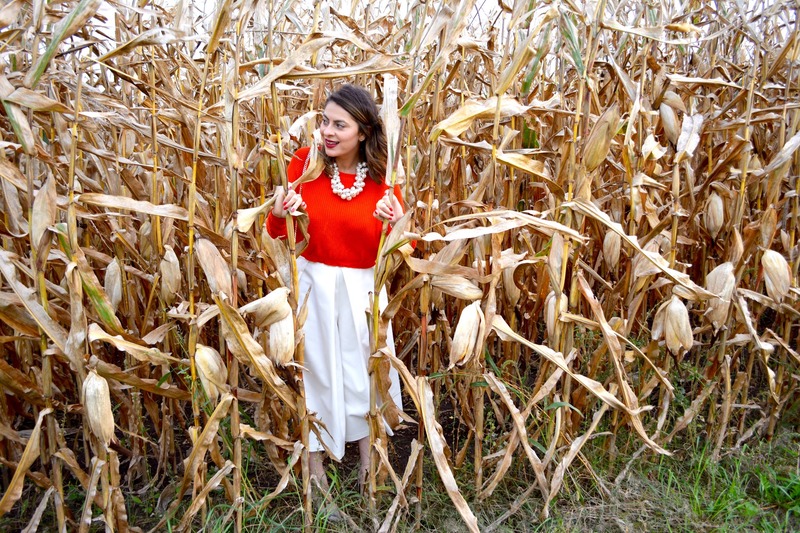 It's harvest season so I decided to explore nearby cornfields for today's post before the cornstalks disappear. The changing leaves were color inspirations for today's look. When I think of Fall, I think of varying shades of red leaves and orange pumpkins. 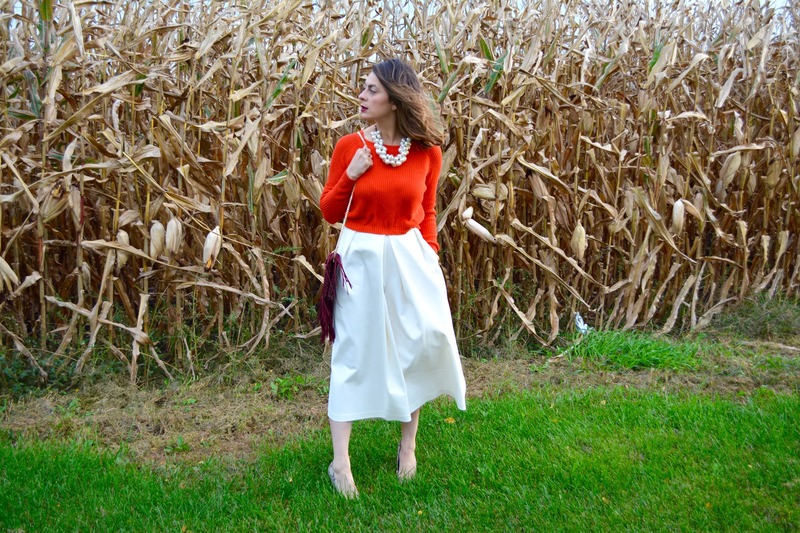 The rich oxblood and bright orange were exactly what I needed to warm up these white culottes. 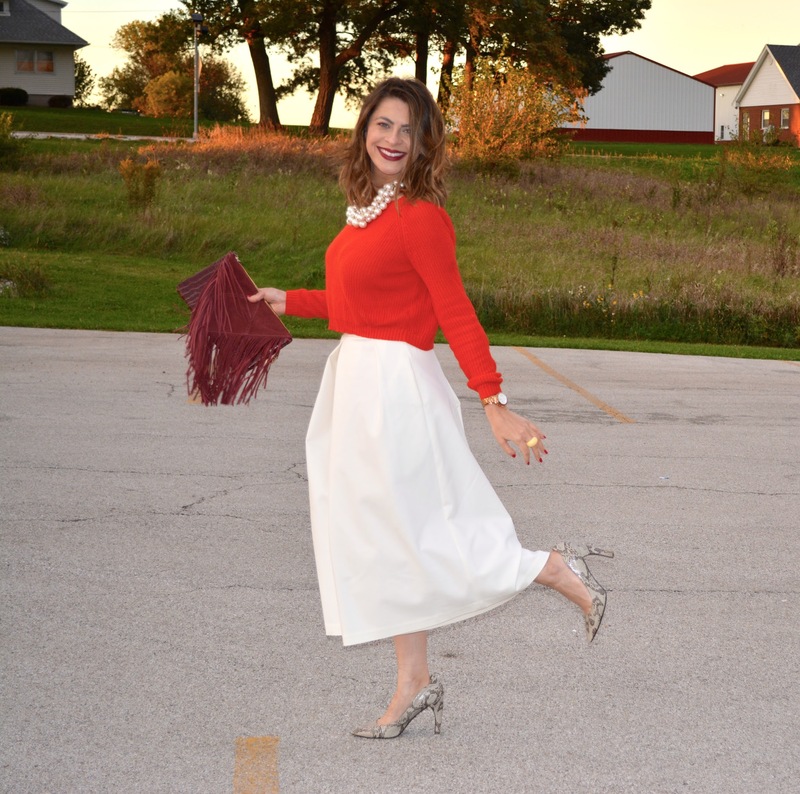 The chunky pearl necklace ties together the pleated culottes with the rest of the look, while the black cherry lips complemented the oxblood fringe bag perfectly. To contrast the solid colors, I threw in this pair of gray snake printed heels. 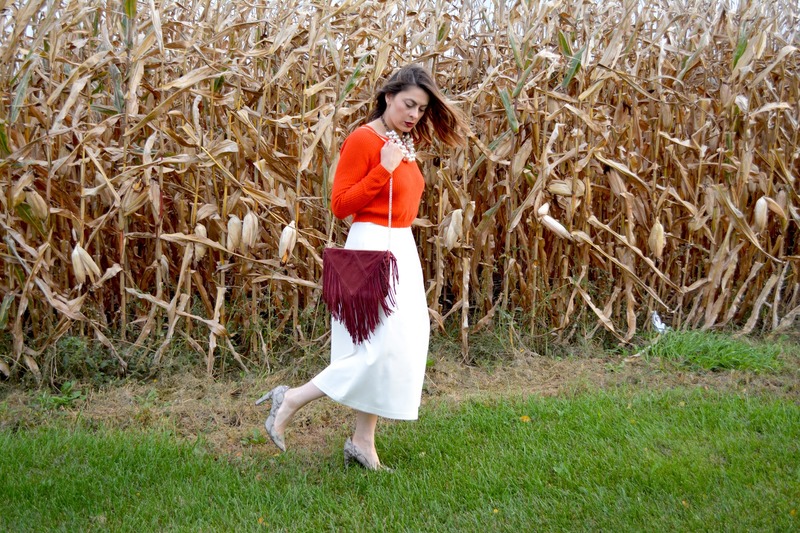 I really liked the juxtaposition of the burgundy fringed suede clutch with the burgundy farmhouse in the background. It really pulls the image together. Thanks MJ! And thanks for stopping by...muaks!